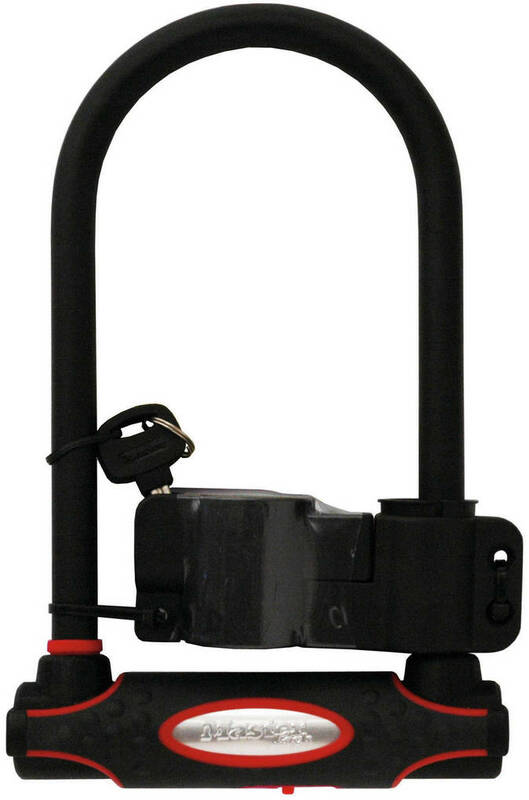 The Master Lock 1469DAT Heavy Duty Receiver Lock features an extended length shaft that fits trucks with heavy duty tow packages and loads up to 10,000 pounds. 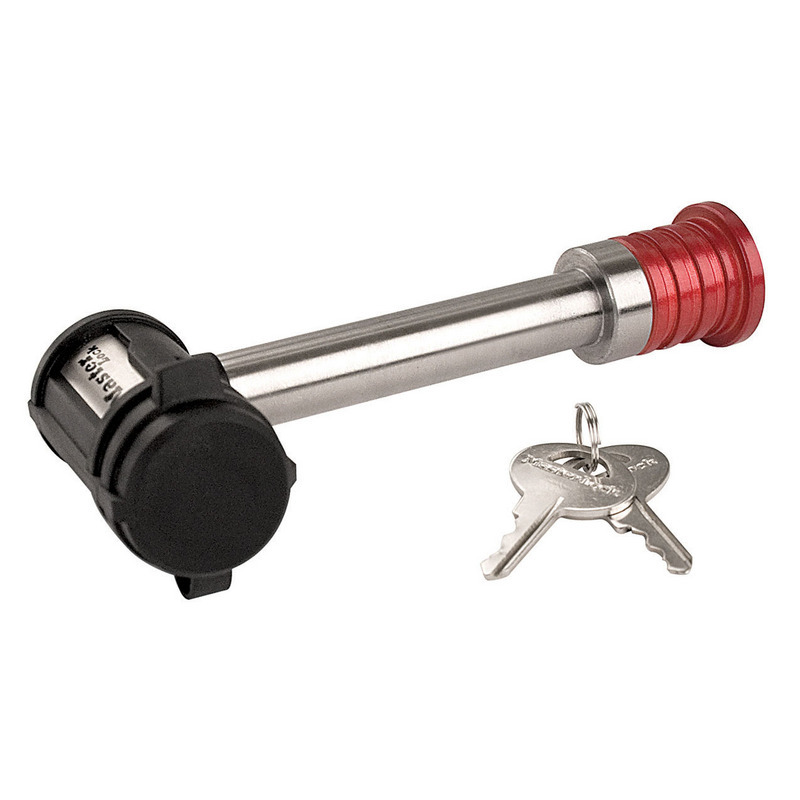 A Weather Tough seal protects the locking mechanism, and the lock has a swivel head design for easy access. 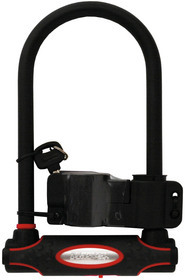 Utilize the Master Lock 8195D Bike Lock to secure your ride while you are out and about. Compact and versatile, the SentrySafe 1200 Privacy Lock Chest helps protect your family's most important paper documents, media and valuables from fire damage. Master Lock 5422D Push Button Portable Key Safe provides secure storage of keys or access cards and offers protective weather cover to prevent freezing and jamming. Small business owners can customize their lock box by engraving their business or personal name and contact information. 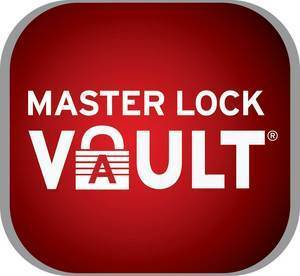 The Master Lock Vault is a free, digital safe deposit box that provides a secure solution for storing copies of important documents for easy access from any smart phone or computer. MILWAUKEE, WI--(Marketwired - Jun 9, 2016) - North Americans claim their No.1 safety concern is while traveling (69 percent)*. With the start of summer and families more likely to spend additional time traveling and away from their homes, Master Lock -- a leading manufacturer of innovative safety and security solutions -- is providing consumers with general safety precautions to keep families -- and their possessions -- protected all summer-long. "June is National Safety Month and with schools out for the summer, it's the start of peak vacation season," said Rebecca Smith vice president, marketing for Master Lock. "Given this, safety should be top-of-mind but with North Americans' busy schedules it's easy to forget -- and implement -- best practices when it comes to security. Our goal is to offer simple security solutions to help North Americans feel safe and protected at home and while traveling." Prepare for the Unexpected - With summer camps, vacations and outdoor play dates, accidents are bound to happen. Technology today makes it easier than ever to ensure you're never waiting in line at an urgent care clinic without your child's insurance information. Store digital copies of your family's important medical and identification information in the free and secure Master Lock Vault for easy access from your smartphone on the go. In addition to providing online storage for critical, sensitive documents, the app offers password and lock combination storage at a 256-bit SSL encrypted connection -- the highest grade browser security available -- providing peace of mind against cyber security threats. Keep Vehicles Protected - Summer is the perfect time of year to explore the outdoors with camp-outs, hikes, road-trips and more. If these explorations involve towing a RV or trailer, make sure to add an extra layer of security with the Master Lock 1469DAT Heavy Duty Receiver Lock, which resists picking and prying to avoid possible theft. Also, if your adventures include a bike ride, make sure to secure your bikes in-between your excursions with the Master Lock 8195D Bike Lock. Designate a Family Meeting Spot - With summer festivals, fairs and trips to unfamiliar places, it's important to designate a meeting spot whenever you're away from home in case anyone gets lost. Whether you are at a carnival, park or away on vacation, always come up with a plan of where to meet. This will give you peace of mind in case someone in your family is separated from the group. Secure Vacation Home Keys - The vacation home rental market thrives in the summer. Whether you are vacationing in a rental or plan to have tenants in your rental unit, it's important to implement best safety practices in your "home away from home." While enjoying time away from your vacation hotel room or rental unit, keep your room key on you at all times. For people renting out their vacation properties or for local real estate agents, ensure the rental keys are securely stored by utilizing a lock box, such as the Master Lock 5422D Portable Key Safe. 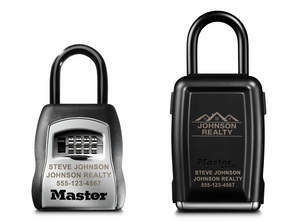 Users can opt to personalize their lock box with the Master Lock 5422LZ Push Button Portable Lock Box; Personalized Laser Engraved, which can be customized with contact information or a company logo. Protect Valuables and Important Documents - It's important to protect your most valuable documents and keepsakes on a regular basis -- especially when you are away from your home. The compact and versatile SentrySafe 1200 Privacy Lock Chest helps keep your family's most important documents, media and valuables protected, offering peace of mind knowing these items are locked and secure. 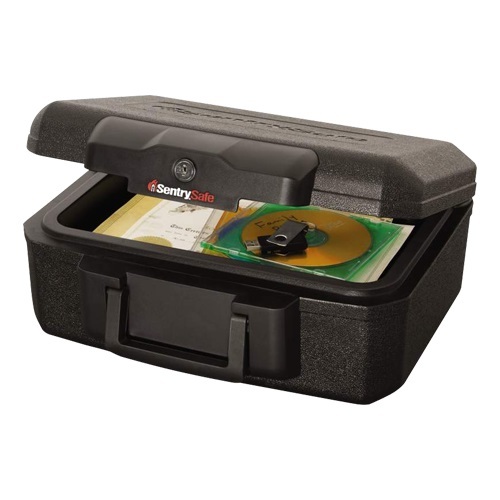 The SentrySafe 1200 Privacy Lock Chest is a fire-protected** safe and the perfect place to keep birth certificates, passports, social security cards and other items that are irreplaceable. For more information on safety tips and products, please visit the Master Lock website at www.masterlock.com or the Master Lock Facebook page at www.facebook.com/masterlock. The Master Lock Company is recognized around the world as the authentic, enduring name in padlocks and security products. Master Lock Company offers a broad range of innovative security and safety solutions for consumer, commercial, and industrial end-users. Master Lock Company LLC is an operating unit of Fortune Brands Home & Security, Inc., a leading consumer brands company. Headquartered in Deerfield, Ill., Fortune Brands Home & Security Inc. (NYSE: FBHS), is included in the S&P MidCap 400 Index. For more information about Master Lock visit www.masterlock.com. *According to a March 2015 Safety and Security Survey of more than 1,500 U.S. and Canadian residents conducted by Master Lock via SurveyMonkey.